The first of three 2019 Ultra Throw hosted events for adults will take place on Sunday, April 28 at McLeod Athletic Park, Langley, BC. a day after our Junior Development Festival (ages 9 - 13) on Saturday, April 27. 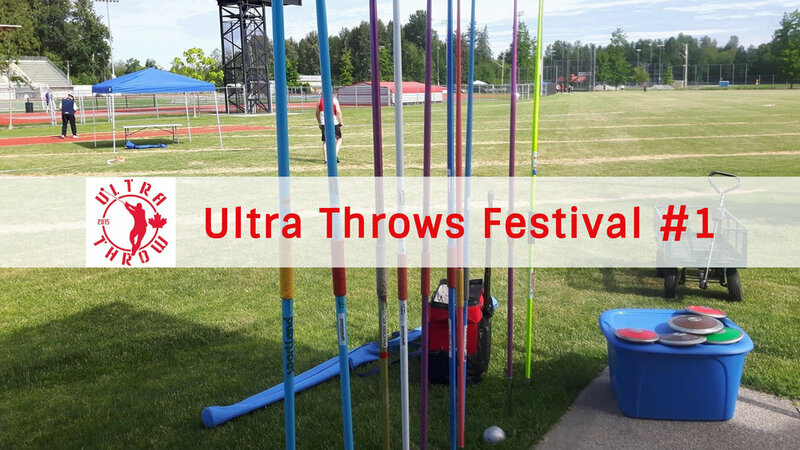 BC Athletics registered Senior athletes (ages 20 – 34) and Masters athletes (ages 35 and up) are invited to compete in the 2019 Ultra Throws Festival #1 in Hammer, Shot Put, Discus, Javelin, Weight, and Super Weight. Athletes are guaranteed 6 throws per event. PLUS the Throws Triathlon (Shot Put/Discus/Javelin) and the Throws Pentathlon (Hammer/Shot Put/Discus/Javelin/Weight). NOTE: The first 3 attempts in each event are the ones used to determine the scores in the Throws Triathlon and the Throws Pentathlon. Where an individual is registered for both the Throws Triathlon and the Throws Pentathlon, the first 3 attempts are scored for the Pentathlon and the last 3 attempts are scored for the Triathlon. Register through https://www.trackie.com/ Registration closes Friday, April 26, 2019 at 8 pm. No day of meet entries allowed. Selection to Flight 1 or 2 will be done after entries are closed. Flight lists will be available on Ultra Throw website (ultrathrow.com) on Saturday, April 27th, 2019. NOTE: If registration is less than 12 for an event, we will run only one flight. RSVP and invite your friends to our Facebook event page.